If you’re looking for the finest CBD products that also contain active terpenes, you’ve come to the right place. Our CBD with terpenes collections feature products rich in these incredible compounds that are responsible for giving cannabis strains their unique scents. Modern research suggests that different individual terpenes may be responsible for certain protective effects such as mood enhancement, appetite suppression, and even pain reduction. Try one of our new CBD terpene options and see why so many daily cannabidiol users are making sure to get a hefty dose of terpenes as well! The products on this page are CBD (cannabidiol) products that also include terpenes, which are special compounds found in the cannabis plant. Until recently, the main understanding of terpenes was that they contributed to the unique smell of each different strain of cannabis. While that’s true, it’s now starting to be understood that terpenes may be doing a lot more than creating fragrant aromas. They’ve been studied alongside CBD as a potential future supplement or even treatment option for a wide variety of ailments. More research needs to be done, but thousands of people are getting ahead of the curve and choosing to only buy CBD products that also include terpenes. What are the benefits of using CBD with terpenes? Just like CBD, there are no proven benefits of using CBD with terpenes -- because the research is so brand new. However, millions of dollars in funding is currently being used to investigate some extremely promising initial signs that terpenes may have a whole host of positive benefits in terms of both mental and bodily wellness. 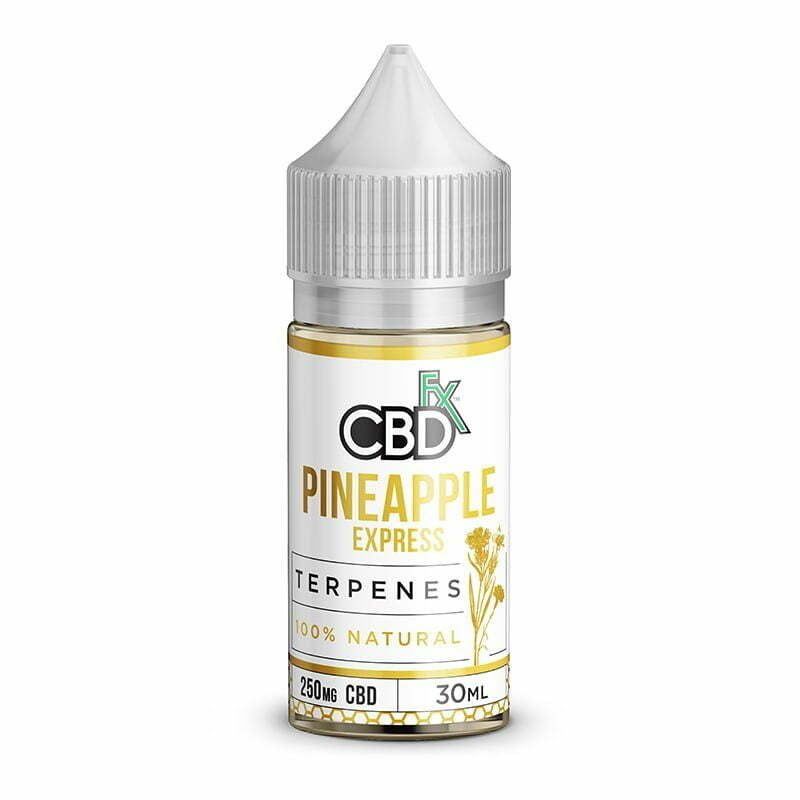 What is the purpose of using terpenes in CBD? By opting to buy CBD products that also are rich in terpenes, you’re basically killing two birds with one stone: you’re getting that all-important dose of CBD, but also taking the extra step of fortifying yourself with an array of terpenes that may hold some pretty amazing health benefits. Can CBD terpenes get you ‘high’? No - although terpenes do bind to receptors in the brain like cannabinoids, they are not themselves cannabinoids and won’t make you feel “high” or intoxicated. Their potential benefits are more subtle and akin to a powerful supplement or natural resource. Therefore, it is legal to buy and use CBD with terpenes throughout the United States. What do terpenes do in CBD? We’re still understanding the full nature of how terpenes interact with the body and potentially contribute to the cannabis plant’s effects. However, there is initial promising evidence showing a slate of positive benefits such as appetite suppression, mood enhancement, sleep facilitation, stress reduction, and more. For that reason, thousands of people are taking care to self-dose with terpenes each day, just as they would with a vital supplement or vitamin.